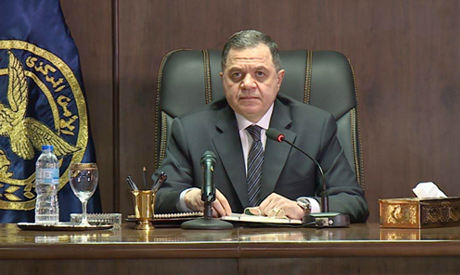 Egypt's Interior Minister Mahmoud Tawfik visited on Monday Coptic Orthodox Pope Tawadros II to offer condolences over the Christian victims of a terrorist attack in Upper Egypt last Friday. In an official statement, the interior ministry said that Minister Tawfik extended his condolences for “the martyrs of the nation,” who were killed by gunmen as they returned from Minya's Saint Samuel the Confessor Monastery. Seven people were killed in the attack and at least 10 were injured. The terrorist group Daesh has claimed responsibility for the attack, which is the first major attack on Christians – who make up 10 to 15 percent of Egypt's 104 million people – since the May 2017 attack on pilgrims travelling to the same Minya monastery. According to the ministry’s statement, Tawfik told Pope Tawadros II that such attacks only strengthen the unity of Egyptians in the face of terrorism. The interior ministry has said that 19 gunmen involved in the Friday attack were killed in a shootout with security forces.